Our award-winning frequent flyer programme costs nothing to join and will change the way you see the world forever. It’s simpler than ever before to apply and begin collecting more Miles more quickly in even more ways. Membership gives you the chance to earn and spend Miles with Emirates and flydubai, as well as with our wide selection of partners. Enhance your travel experience with benefits and services that make every trip more rewarding. Earning Miles quickly is naturally one of the things our frequent flyers really care about. Earn both Tier Miles and Skywards Miles on Emirates and flydubai flights, even on special offers. You can also earn Skywards Miles on flights with our growing alliance of partner airlines, and with exclusive offers from our global partners in hospitality, car hire, finance, lifestyle and retail. 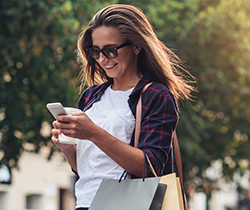 The best part about earning Miles is deciding how to spend them, and it won’t take you long to reach exciting rewards. You could earn enough Miles for an upgrade after just one long-distance trip. As well as reward flights and upgrades on Emirates, you can spend your Miles with flydubai and our worldwide partners. Choose from flights with our partner airlines, luxury hotel stays, fun-filled family days out, or even tickets to a wide range of sporting and cultural events across the globe. Your Miles are valid for three years, so you’ll have plenty of time if you want to save up for something really special. An easy-to-use, personalised My Account page greets every Emirates Skywards member after login. It’s straightforward to navigate and lets you see exactly how many Tier Miles and Skywards Miles you have, recent transactions, and lots of other useful information at a glance. To help you manage every aspect of your account and upcoming travel, My Account acts as a hub of convenient links to relevant pages. Key alerts keep you up to date and it even shows you special offers relating to your tier. 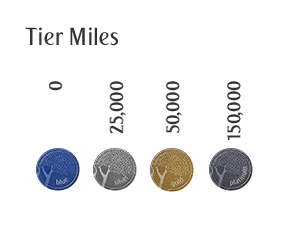 Build up your Tier Miles by flying with Emirates or flydubai on any fare type and enjoy the benefits of Silver, Gold and Platinum status. Frequent flyer privileges get even better as you move up the tiers, so you can look forward to even more benefits like Emirates lounge access and priority check-in. From bonus Skywards Miles and Tier Miles, to special fares and discounts. Sign up now and be first in line for exciting new privileges and benefits from flydubai. It’s more fun to fly with us as a Skysurfer. Young explorers, aged two to 17, can collect Miles and enjoy rewards like flights, games, toys and more. Skywards.com is now integrated into emirates.com, which means that you can now manage your account, redeem Miles, check where we fly and book flights all on one site. Our existing members will find familiar pages, as well as extra information and new features. New joiners can visit the Emirates Skywards & Business Rewards section to find out about all the programme benefits. Please refer to our Help Centre if you have any questions.